The Federal Trade Commission has recently created new and arbitrary requirements for ANY food or dietary supplement health-related claim—and is enforcing them—in direct violation of federal law. Help us fight this new censorship of science all the way by taking action to support our Citizen Petition! It’s imperative we protect access to good information about the benefits of a natural approach to maintaining health. But this will become much more difficult now that the FTC is requiring two random-controlled human trials for any health-related claim—even so-called structure/function claims, which are permitted under the Dietary Supplement Health and Education Act of 1994 (DSHEA) without such trials. Before it can adopt or enforce such new policies, the FTC is required by law to go through the rulemaking process, a process that becomes even more difficult for FTC whenever a new policy is controversial, such as health claims. Perhaps that is why FTC is ignoring that law and doing it anyway. You will recall that the FTC would have been granted additional authority, enabling them to legally amend their regulations to require two such trials through what we called the Waxman amendment to the “Financial Reform” bill. Thanks to all of you, that amendment was defeated. But the FTC is just going ahead as if the amendment had passed and they had further gone through the necessary rulemaking process to amend their regulations. FTC lacks jurisdiction to enforce the Federal Food, Drug, and Cosmetic Act. The FTC’s two clinical trial requirement violates the First Amendment standard in Pearson v. Shalala. The FTC cannot violate the Constitution in consent orders. The FTC’s new policies chill protected speech. Of particular concern is that the FTC’s new policies apply to the industry as a whole. The fear of enforcement under FTC’s new policies chills protected speech and reduces access to important health-related information for consumers. This petition, if denied, will lead to a litigation phase. Once again ANH-USA and its co-plaintiffs, Durk Pearson and Sandy Shaw, are being represented by renowned constitutional law attorney Jonathan Emord, of Emord & Associates. Food and supplement producers are legally allowed to make structure/function claims. These are claims that describe the role of a nutrient or dietary ingredient as it affects normal structure or function in humans—for example, “calcium builds strong bones” or “vitamin D boosts immune system function.” However, one cannot legally cite the science showing that vitamin D prevents and treats the flu. The flu is considered a disease, so this is forbidden. The science doesn’t matter to the FDA. Nor does freedom of speech, which is why we so desperately need the Free Speech About Science Act of 2011. Now the FTC is saying that even structure/function claims cannot be made unless two random-controlled human clinical trials, or RCTs, are performed! And that’s two RCTs for each product, not each ingredient. Even one RCT is tremendously expensive, so to require two for each product before any health claim is made is a nearly impossible undertaking. Our petition essentially asks the FTC to stop this new requirement immediately. They must follow the formal rulemaking requirement before any policies of this nature are formulated. The FTC should also keep in mind that only the FDA can legally regulate health claims. By usurping the FDA’s regulatory authority, the FTC opens itself up for Pearson v. Shalala to be applied. This landmark legal precedent says that the FDA cannot impose prior restraints on free speech. Our petition argues that if the FTC imposes FDA-specific regulations, then it must also abide by the Pearson precedent. Otherwise we have a blatant regulatory end-run around a federal court decision. Moreover, we believe that the FTC is violating the First Amendment not only in silencing structure/function claims, but in the legal actions it has taken against companies advertising their products, including POM Wonderful, Iovate, Nestle, and Kellogg, all of which involve new regulatory action by the FTC. 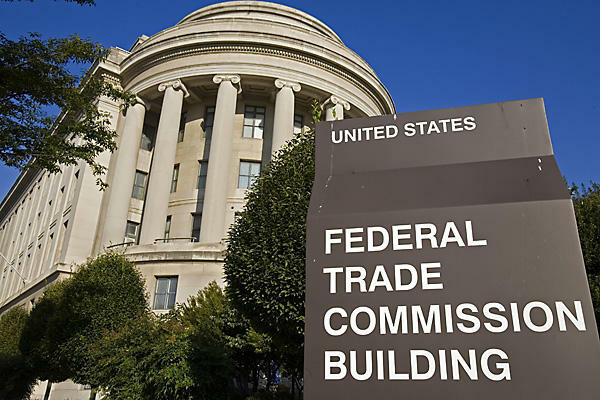 The FTC denies making any new requirements across the board, though the FTC has indeed been making such requirements on a company-by-company basis via Consent Decrees. But Consent Decrees, or any other system of premarket approval or similar degree of censorship, would be an unconstitutional restraint of truthful speech. The result of such aggressive tactics by the FTC is that companies, particularly smaller companies, are fearful of FTC reprisal and expensive investigations. This may lead them away from making any claims, including truthful and legally allowed structure/function claims. This in turn leaves consumers in the dark. Consumers have few means of finding credible information about natural foods and supplements—which is essential if one is to follow a natural approach to health. We expect to have to go to court. But we’d rather not, so we’re asking you to contact the FTC and ask the agency to grant our petition. Take action now! Click THIS LINK to go to the Action Alert page. Once there, fill out the form with your name and address, etc., and customize your letter. We have a suggested message for you, but please feel free to add your own comments to the letter. We’d also love to hear your comments about this article—just add your thoughts below—but remember that the messages below are only seen by our ANH-USA readers and not Congress, the FDA, etc.